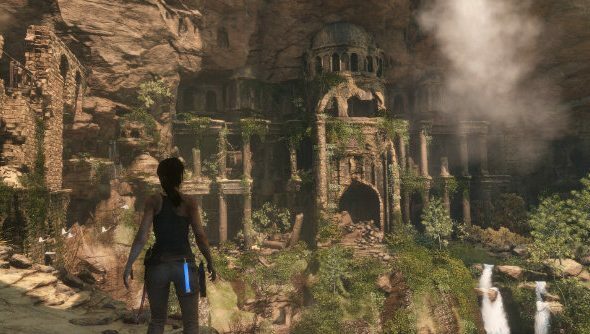 Nixxes Software, the team behind the PC port of Rise of the Tomb Raider, have just released a patch that enables Lara’s latest outing to support and get all the benefits of DirectX 12. It looks like one of the highlights of our list of the best looking games on PC is about to get even prettier. Nixxes explained on a blog that one of the most challenging things about developing for PC players is making sure people with wildly different setups can still enjoy the game: from monster rigs capable of the best visuals to more humble machines that can’t cope with all the flashy effects. The studio pride themselves on delivering a good experience regardless of your machine’s capabilities, and according to the blog by Nixxes studio headJurjen Katsman, adding DirectX 12 support will increase performance for everyone with a Windows 10 machine. The biggest leap will be noticeable for people will 8-core CPUs, because DirectX 12 gives Nixxes the ability to spread rendering work between the cores “without introducing additional overhead”. “When using DirectX 11, in situations where the game is under heavy load – for example in the larger hubs of the game – the individual cores may not be able to feed a fast GPU like an NVIDIA GTX 980 or even NVIDIA GTX 970 quick enough,” explains Katsman. Another big feature is asynchronous compute, which allows the game to use GPU power that would otherwise go to waste and do several tasks in parallel. This will boost performance for people withNVIDIA SLI and AMD CrossFireX configurations the most. Check out the full blog here. – DirectX 12 is a new advanced graphics API that on the right hardware can offer far better performance. – For the best DX12 performance and stability please install the latest drivers for your GPU.